March is Women's History Month in the United States. While I make sure that remarkable individuals are celebrated all throughout the curriculum, when the opportunity comes around to highlight great women in the world, it's always fun. This year we are looking at the "stories" of history. As such students are embarking on sharing the stories of different women. We will do a newspaper collaborative project on the women's suffrage movement which actually fits in seamlessly to where we are in a U.S. history course I am teaching. 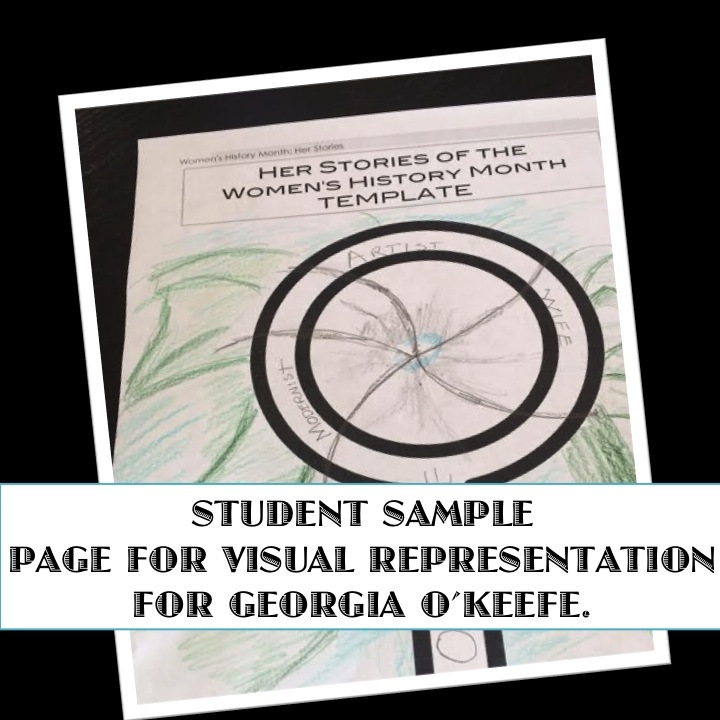 Each student will also select a woman to highlight through a student centered project. To kick the month off (a little early), we just started our "doodles." I gave students stories of 6 different women from different fields. I provided the stories and doodle templates. Students selected one of the 6 or chose one of their own and read the stories. Students are now creating "doodles" about the women. I can't wait to see them...the one pictured to the left is a work in progress. We will hang these in our class to inspire our continued study of famous (and infamous) women from the past and present. "My female students often asked why more women aren't mentioned in history books. So many DID make contributions throughout history. 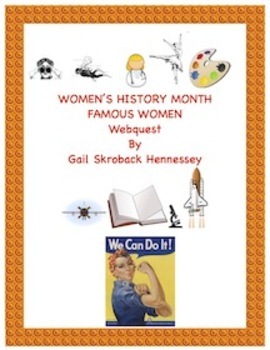 My web quest contains informational text on 10 women who have made contributions to our world. 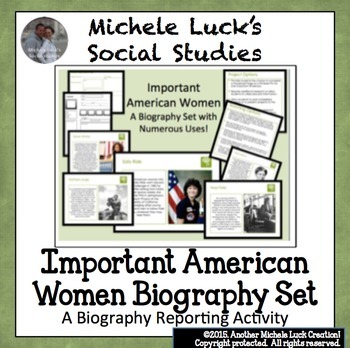 Elizabeth Blackwell,Clara Barton,Amelia Earhart,Susan B Anthony,Sally Ride,Rosa Parks,Jane Goodall,Eleanor Roosevelt,Marie Curie and Sacagawea." 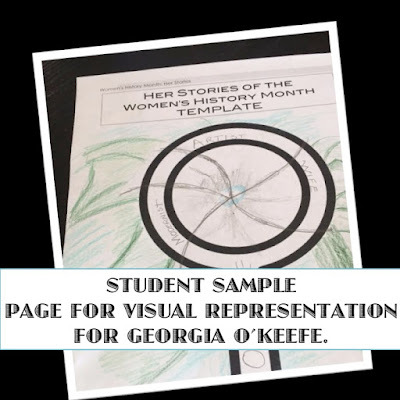 "I love this pamphlet activity, because students get to learn about a woman of their choosing from 4 different parts of society, so each student's pamphlet will be different from their classmates'. They also address 4 big questions including whether Women's History Month should continue being celebrated, and picking the woman they think was/is most noteworthy and defending their opinion." 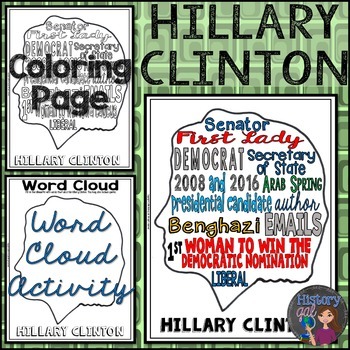 "Whether you support Hillary Clinton or not, she has made history by winning the Iowa Caucus and by being a forerunner for the Democrat presidential ticket. 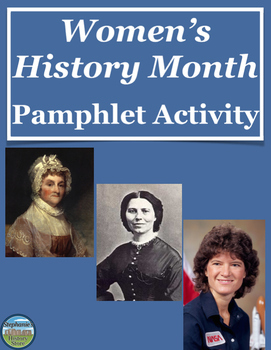 This coloring activity is a perfect way to tie current events into Women's History Month"
"A walking tour introduction to the significant women allows students to further research a woman of their choice. 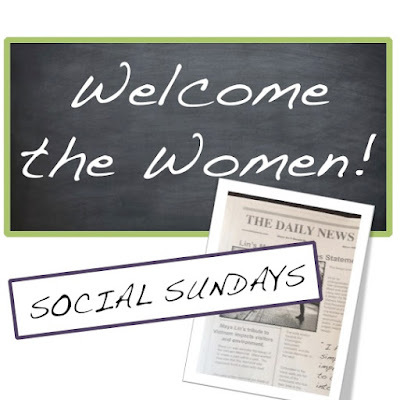 We then do a "Talk Show" format where different groups of women take the "stage" to tell us more about themselves! In the old days, I called this my 'Oprah Activity!'" What will you do for Women's History Month? Share them below in the comments section. 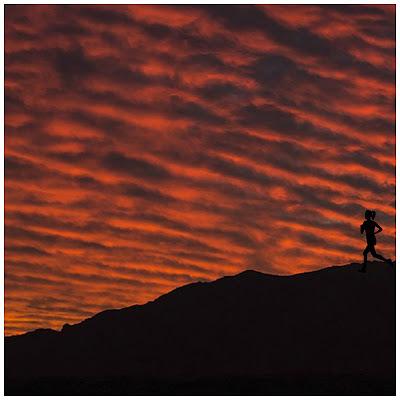 And if you need some resources, check out the links below. Have you watched the "Bad Romance: Women's Suffrage" video by Soomo Publishing? It's a great music clip to show when teaching about the women's suffrage movement in the 1900s. It focuses on Alice Paul and the National Woman's Party. The methods they used that were thought to be unconventional then are really shocking to students of today. Alice is one of my favorite women to learn/teach about!